The AONB’s application for a Heritage Lottery Fund grant has not been successful mainly because there were an unusually high number of applications in the South-West including at least three re-submissions. Iain Porter has now met with the HLF who are very keen for the bid to be re-submitted next year. In the meantime the bid is being updated and we shall be having a further meeting with IP to explore exactly what our commitment will be as HLF see FoQ as a key constituent of the bid. Iain is keen to keep the CPG scheme in the HLF bid as it fits the criteria well. I would have liked to bring it forward this year but in the scheme of things a year’s delay is not that significant and keeping the project within the Big Bid means that our money can have a wider benefit for the Quantocks than if we go it alone with CPG. I have held a meeting with Emma-Jane Preece who is preparing a Landscape Assessment and is considering whether there is a case for reverting to parking on the left of the track by removing the trees there and planting a new line of beech or other species on the outside to screen the parking. This would be more controversial and would need a lot of consultation but might make the best solution. Owen Jones has completed the annual ‘audit’ and tells me that there is nothing of significance to report. A small area of Halsway Hill is being sprayed this winter for bracken control. A new hammer-proof notice board will cost around £160 including transport and VAT. I believe we should proceed with this. We are exploring the possibility of creating an association of voluntary societies such as ours, supporting AONBs with a view to being able to speak with a ‘national’ voice. At present the response has been rather poor. As you know we have decided to do the Nether Stowey Dunster and Quantock Shows and have booked our places. At Dunster we may share our tent (and expenses) with the Exmoor Society. For all shows we need a new display which looks more up-to-date, professional and punchy. Mike Pitcher has very generously offered us a display banner. It is large and will cost £320 to re-design. 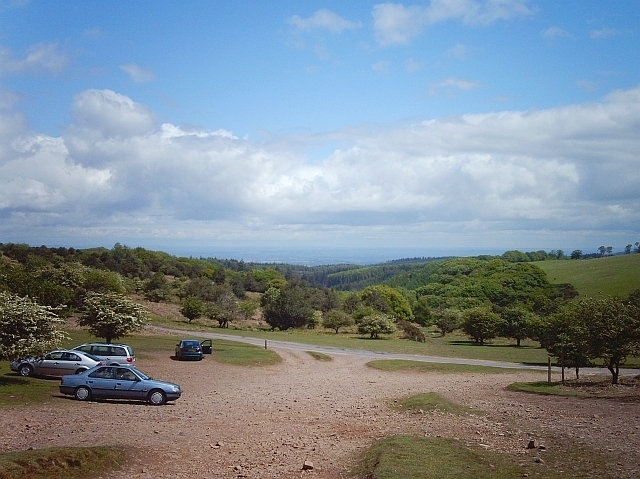 With HP3 proceeding we have discussed with the AONB Service the possibility of providing every worker with a leaflet about the Quantocks. I had thought we would produce a special leaflet for this purpose but have been persuaded that we should use the standard AONB leaflet. The AONB are meeting with the HP3 agents to discuss funding and methodology. Many of you will have seen the LCA prepared by Emma-Jane Preece. It is a very detailed and highly technical document and while some of it is subjective I have been through it and see nothing about which I feel we should comment. I circulated a paper from the Exmoor Society because many of the issues raised are equally relevant to the Quantocks. Ian Kett has suggested that we might commission our own report, possibly with help from Taunton/Cannington College, which I think is an excellent idea if we can agree on a suitable brief. I wonder whether a possibility might be a study of visitor numbers, projecting the likely increase over say the next ten years, with an analysis of how this will impact on the roads and car-parks and the effects on the landscape and wildlife? I have no idea at present what the costs might be and merely float the idea for discussion. At the last meeting of the JAC it was reported that Nicola Penn, the ranger responsible for volunteers will be leaving to start her own business. A replacement will be recruited. Iain Porter gave an interesting report on the monitoring of the relatively rare Barbastelle bats which inhabit the Quantocks and also on the ongoing programme of Adder monitoring. Adders on the Quantocks are smaller than elsewhere. 9 hibernacula have been identified and swaling is being modified to protect these with areas of cut & collect instead of burning. The JAC also had a report on the difficulty of protecting the hills against incremental planning applications with an illustration of the charming but isolated small barn at Merridge that was granted permission for conversion and then allowed to build a double garage with a room over. It is now an eyesore on the hill with a thoroughly urban entrance and we await the application to turn the garage into a residence. Similar applications are evident at Bicknoller and elsewhere and are extremely difficult to resist. With the Coast Path officially opened from Kilve to Donniford we questioned whether more notices should be provided warning people that it is not passable at high tide. In fact these have now been erected. I recommend most of it as a lovely walk, but unfortunately at the end you have to walk all round the Donniford caravan park and along the road! LK has raised the issue of local farmers using the tracks across the common to access their land and has met with Broomfield Parish Council. We need more volunteers to help as observers, with planning and other projects and need to discuss how these can be found.